California, “the Golden State”, is a state of the U.S. which lies on the Pacific side of the continent. With its 39,5 million residents, California is the state with the highest population density in America. One could be tricked into believing that California is just a people’s paradise, which could not be more wrong. With its pristine soils and large variety in habitats, California is home to a large number of endemic plants. One-third of the plant species living in California are endemic species, the largest number of any state in the USA. The unparalleled biodiversity is taking a hard hit these days, because of climate changes and an increasing problem with droughts. 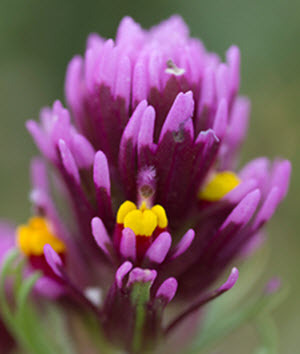 Luckily the California Native Plant Society (CNPS), is during a great job at protecting various habitats and various plant species so that the whole world might benefit from the unique flora of California. As mentioned, the climate is changing and droughts are hitting both California and the rest of the world. California has been living the reality of heat and droughts from many years before climate change was on everybody’s tongue, and because of this, its flora has had 100s of years to adapt and in the end thrive under drought conditions. Many of the natives in California have through the years developed a high tolerance to droughts and can sustain themselves in low water environments. This is one of the biggest reasons for the CNPS to work on conserving their endemic species, they want to preserve these species so that can help out in a world where water is getting more and more scares. When learning about droughts and plants it is important to differentiate between drought resistant and drought- tolerant. Many of the plants which are supposed to tolerate droughts cannot handle a true drought. A lot of the plants that are described as drought tolerant grow near waterways or in regions with high rainfall. This just tells that those plants are evolved to drip irrigation, not to tolerate drought. 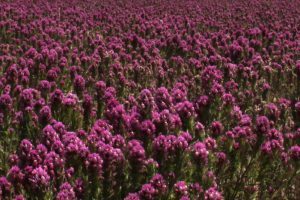 The true drought-tolerant plants will survive even if their waterways disappeared for decades, as they sometimes do in California. As natural habitats are dwindling, more and more residents of California are getting interested in setting up their gardens so they represent the local flora, this is known under the name “Native Gardening”. If you want to start setting up your garden to accommodate native plant life, first thing is to gather the necessary knowledge base. First of all, you need to study your garden and the habitat you intent to recreate. Find out what soil type is in your garden and how much water is naturally supplied. Once you have these factors down, you can start looking into what plants grow in your local area and which of those would fit into your gardens circumstances. To collect this knowledge you can either find catalogs online describing your local flora or you can get a plant identification book and just go out and identify yourself. This last option is quite a lot harder but also that much more rewarding. You will also have to find out if you are looking for special features in your garden, such as a water feature, a butterfly garden or a hummingbird garden. Both butterflies and hummingbirds are prolific all around California and setting up features to attract these is certain to succeed. Not only will you get the beautiful presence of these animals in your garden, but you will also be helping the general populations and if you choose the right plants, save some species from extinction. The Monarch butterflies migratory pattern takes it through most of California, and for that journey, they need nourishment and places to take a drink and take a break. You can supply a pit stop for them by for example planting Milkweeds, the only plant the Monarch’s caterpillars live on, of which population numbers are surging downwards. Another consequence of the dry environment of California is the increased chance of fires. So when designing the layout of your native garden you should try the best you can to make it so that fires do not spread easily. 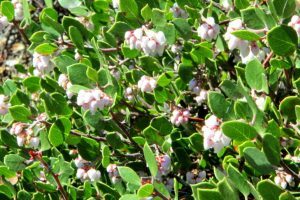 California’s local flora offers a few plants which have adapted to be quite fire resistant, and you should take advantage of them. A few examples of fire-resistant plants are Aesculus californica, most Ceanothus species and most Erigeron species. Wildfires cost the state of california a lot of money every year. The Camp Fire alone destroyed 10 000 homes and over 10 000 other structers. In 2018 alone wild fires costs more than $2.975 billion. About 35% of this money was spent fighting the fires. This is money money that is needed to improve public transports and other civic services. The cost of the fire damage is large enoug to effect the economy of California. Things have gotten so bad that top day traders and other investors use satelite images to track the fires and track the impact the fires might have on the stock price of insurance companies and other affected companies. If you want to plant some native trees in your garden as well, oaks are probably your best bid. These majestic trees are scattered over the whole state and show a great resistance to long periods of drought. Another upside to choosing a local oak is that it brings local mycorrhiza fungus to your garden, which drastically will improve the health of the entire garden. The last thing I will bring up as upsides to choosing to have a native garden is that the native species have developed defenses to most of the local weeds. This means that fewer weeds will sprout and if they do they will often simply be outcompeted. If you are already a gardener you will know how much time can go into weeding your garden and cutting down on that time will mean spending more time just simply enjoying your little utopia. If you find these subjects interesting I would advise you to read on. The articles on this website all expand on the topics we have already touched. First, the importance of feeding you pollinators by planting hummingbird and butterfly gardens and which plants will give you the best diversity is laid out. After that, we will dig a bit into how to properly secure your land by firescaping correctly. do not skip the firescaping, it might not pay off today, but should disaster strike you will be happy to be prepared. 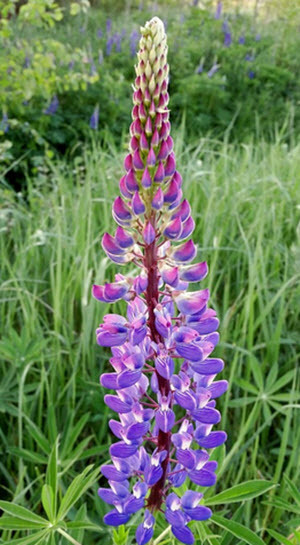 Moving on from there, you will be taken through some of the favorites in Californian native gardening. 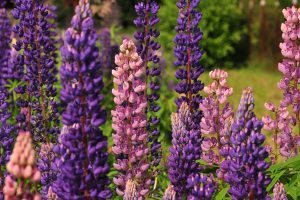 Some of the most useful and beautiful plants from your local flora which will protect, revitalize and beautify your garden.